Executives at FMS Wertmanagement, the German organization charged with working through the distressed assets of Hypo Real Estate Group, including Base Village. From left, Ernst-Albrecht Brockhaus, Dr. Christian Bluhm, and Frank Hellwig. Officials at a German organization may find out Wednesday, Oct. 5 what potential buyers of the stalled Base Village project think it is now worth. Or at least, what they think the $400 million note on the project is worth. The Related Cos. Of New York, whose Base Village Owner LLC defaulted on a $520 million loan from a division of the German Hypo Real Estate Group in April 2009, once projected it would sell 600 condos in base village for a total of $1.2 billion, or roughly $2 million a condo on average. 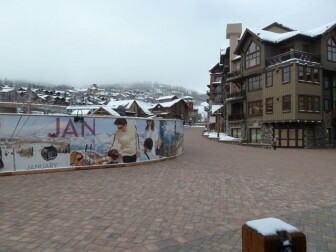 Few people in the current business climate think that is still possible, as the average sales price of a condo today in Snowmass Village is down 38 percent from the 2008 peak in the market, according to Andrew Ernemann, a broker and market analyst at BJ Adams and Co. of Snowmass Village and Aspen. Hypo Real Estate Group failed in spectacular fashion after the fall of Lehman Brothers in September 2008 and the bank was bailed out by the German government. In October 2010, Hypo’s assets were transferred to an organization under the auspices of the Federal Republic of Germany called FMS Wertmanagement. And officials there have been tasked with getting as much money as they can for Hypo’s portfolio of distressed assets, which includes base village. Andreas Henry, the communications manager for FMS Wertmanagement in Munich, said recently that “an important meeting regarding Snowmass will held in the very near future.” And he further clarified via email that the meeting is this week. And other sources close to the Base Village project said that Wednesday, Oct. 5 is the deadline for interested parties to submit a bid to buy the $400 million note, which is being offered for sale on behalf of the German government by a company called Eastdil Secured. Eastdil Secured has circulated a brochure advertising the “acquisition opportunity” for the half-built Base Village project at the bottom of the Snowmass Ski Area. “The offering is for the defaulted senior mortgage note with the objective to orchestrate a structured sale of the real estate collateral in concert with the pending foreclosure,” states the brochure. Officials from Eastdil Secured declined to comment. The latest (and eighth) date for a foreclosure sale of Base Village is Wednesday, Nov. 16. Foreclosure sales in Pitkin County are held on Wednesdays, and it is the last chance to hold the sale before the one-year anniversary of the first scheduled foreclosure sale, which was Nov. 17, 2010. If the sale does not happen on Nov. 16, then the mortgage holder, now ultimately the German government, will need to withdraw the current foreclosure action and begin a new foreclosure process. That’s viewed as mainly a procedural hurdle, as the underlying lien remains in place, but the re-filing process can still take several weeks. The Nov. 16 has does seem to have taken on a new relevance for officials at FMS Wertmanagement, who are making decisions about Base Village, along with bankers they’ve hired as portfolio managers at Deutsche Pfandbriefbank AG in Germany and at Strategic Asset Services LLC in New York, a division of H/2 Capital Partners. “We are very confident to find a satisfying solution before this date,” said Henry of FMS Wertmanagement, speaking of next month’s deadline. 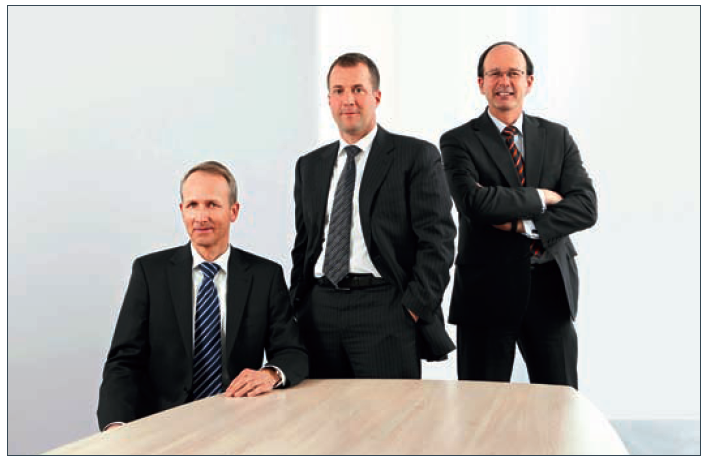 The primary decision makers at FMS Wertmanagement appear to be two members of the organization’s executive board, Christian Bluhm, who is the organization’s chief risk officer, and Albrecht Brockhause, the treasurer. There are three other European banks that still have a minority stake in the Base Village loan, but it is clear what influence those banks have decisions regarding the note or the asset. The banks are Dekabank of Germany, which served as co-agent on the loan along with Hypo, KBC Bank N.V. of Belgium, and Danske Bank AS of Denmark. 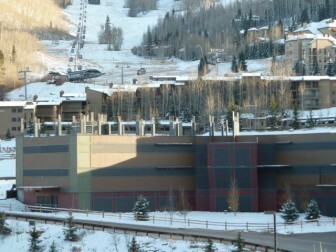 The foreclosure action in Pitkin County was filed by Hypo Real Estate Capital Corp. (HRECC) of New York, a division of Hypo Real Estate Group. It was HRECC that originally put the $520 million loan together. And it filed the foreclosure action against Base Village Owner LLC, which took out the loan. Base Village Owner LLC was controlled by Related Westpac, and is now controlled by Related Cos. of New York, one of the largest private real estate firms in the country. Officials at Related in New York, including president Jeff Blau, declined to comment on the situation. Developer Pat Smith of Westpac, who brought Related Cos. into the Base Village deal, said last week that Related has been negotiating with German bankers about the value of the Base Village note, but that the two sides had not come to a shared understanding of the remaining value of the project. Editor’s Note: A version of this story ran on Wednesday, Oct. 5 in The Aspen Times and the Snowmass Sun.